Want M4P to MP3 converter for Windows? Try iTunes Converter for Win . 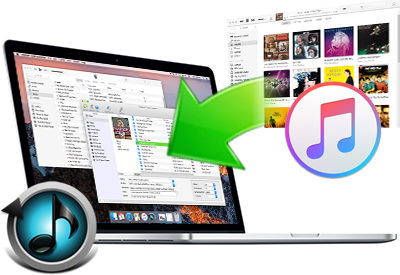 To remove DRM from iTunes movies and TV shows, try iTunes DRM Media Converter . Free your iTunes/Apple Music songs from DRM protection and play them whenever you want, with whatever you want. Convert DRM M4P to MP3, AAC, AC3, AIFF, AU, FLAC, M4A, M4R, and MKA . 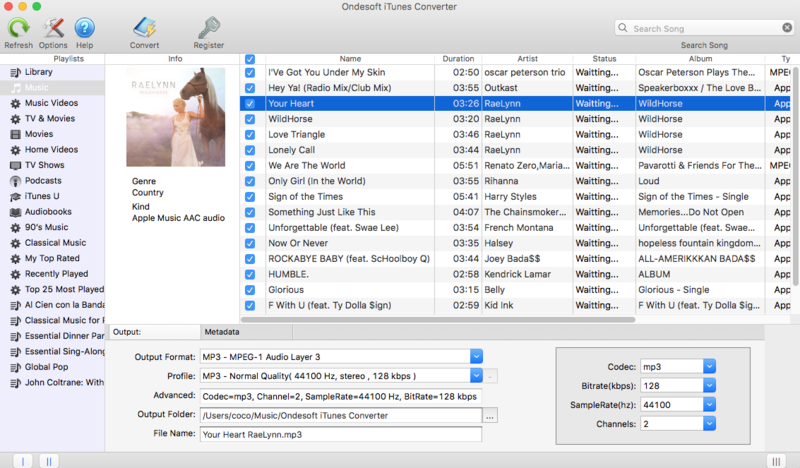 Use Ondesoft iTunes Converter for Mac as a basic audio converter as well: it works with all unprotected file formats. 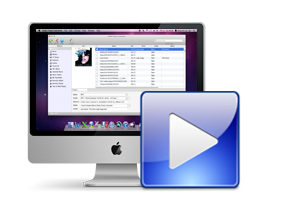 An intuitive interface allows you to see the entire iTunes catalogue along with conversion and output options, all within one simple, easy to use window. 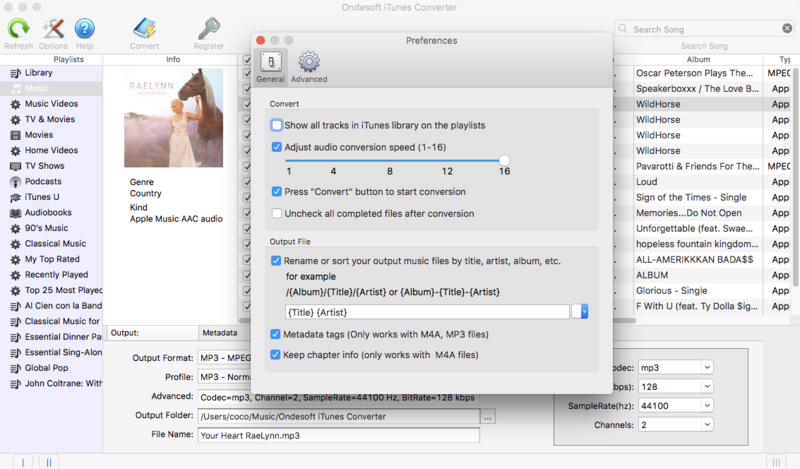 iTunes M4P converter advanced options: change the bitrate, sample rate, codec, and the number of channels as you like. 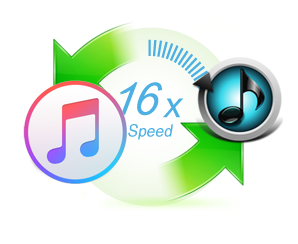 Batch conversion allows you to convert entire iTunes Music Library to MP3 in just minutes! 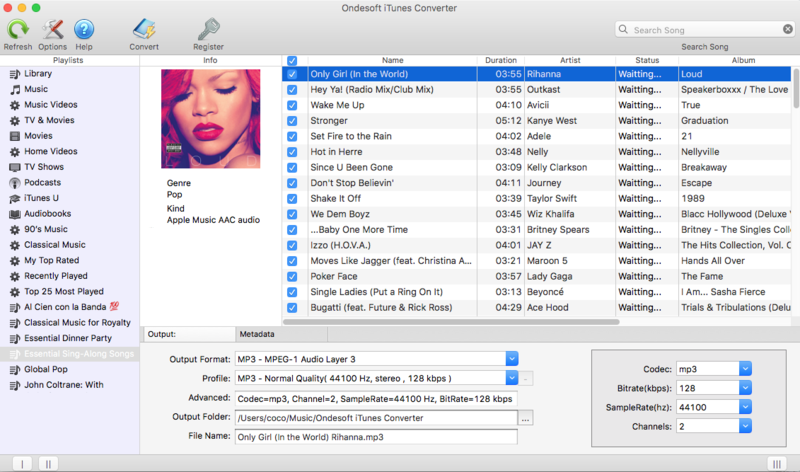 Don’t worry about losing your files’ data: Ondesoft iTunes Converter for Mac saves all the data associated with DRM protected files and applies it to your converted files. iTunes M4P Converter for Mac encodes output files directly while recording, extra disc space isn’t clogged with excessive temporary files. 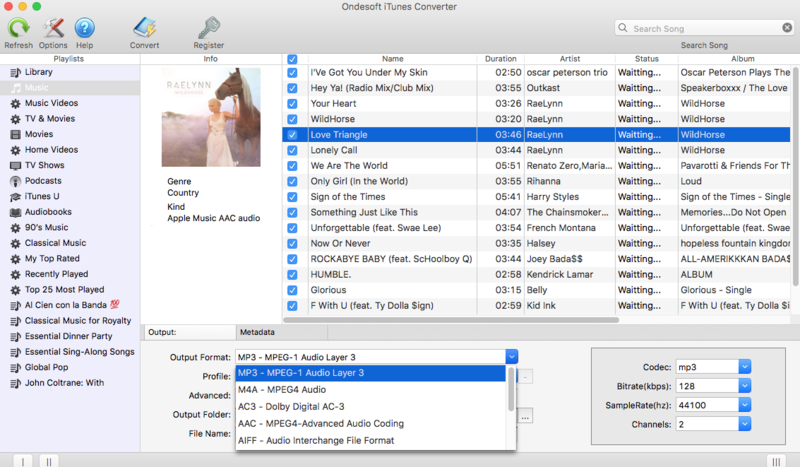 No extra hardware requirements mean Ondesoft iTunes Converter for Mac is the only program you need to unlock all of your DRM protected iTunes audio files !